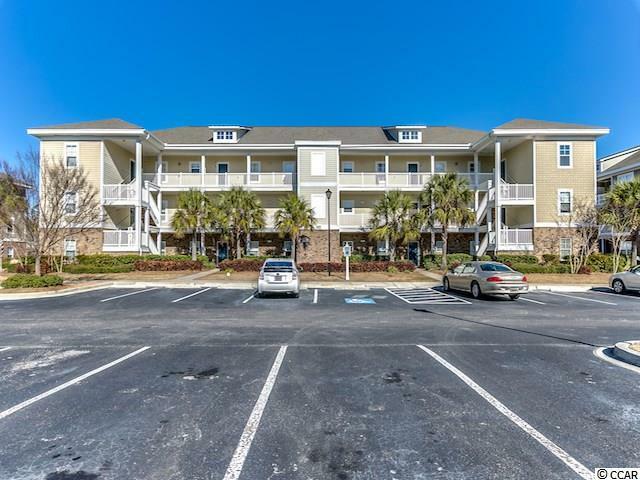 A two bedroom, two bathroom unit located on the third floor in Kiskadee Parke! 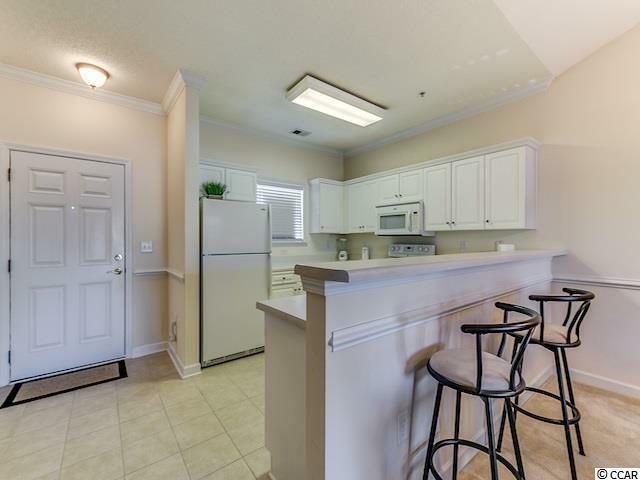 This unit comes fully furnished and with a private one-car garage. Featuring an open Oakmont Villa "B" floor plan, you will be thrilled with the generous size of the common living space and bedrooms. The common living area is ideal for relaxing and entertaining. The kitchen with a breakfast bar overlooks the dining and living rooms. 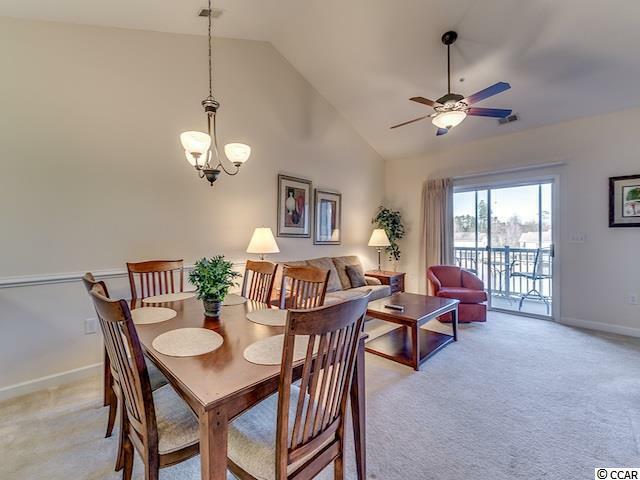 You will appreciate the view of the pond from this unit, as seen through the sliding glass door that leads to the rear 7'5"x13' screened balcony. 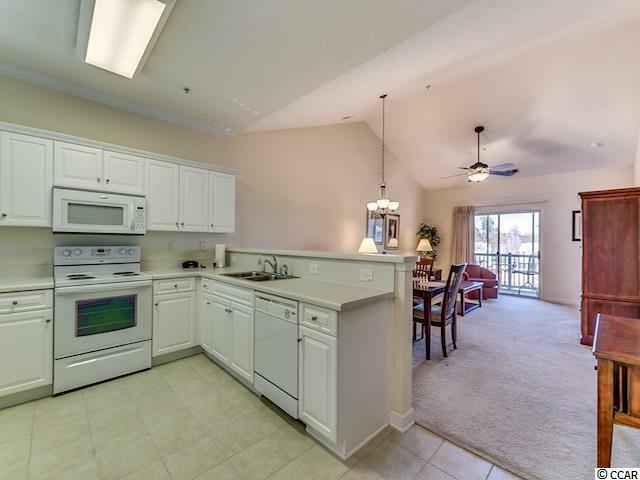 This balcony is carpeted and features a ceiling fan, electric outlets, and access to the private storage closet. The master bedroom boasts a beautiful view of the community pond, tray ceiling, walk-in closet, a second closet, and an ensuite bath with a garden tub. The second bedroom is located separate from the master suite and has access to a full bath. Kiskadee Parke offers its residents a community pool and hot tub, lighted tennis, basketball, and beach volleyball courts, a clubhouse, and outdoor grill area with table seating under a pavilion. Your Kiskadee Parke address, centrally located between Conway and the Atlantic Ocean, provides you with close proximity to all the attractions and amenities of Myrtle Beach, including fine dining, world-class entertainment, ample shopping experiences along the Grand Strand, and Conways antique shops, local eateries, and the River Walk. Rest easy knowing you are only a short drive from Coastal Carolina University, Horry-Georgetown Technical College, medical centers, doctors offices, pharmacies, banks, post offices, and grocery stores. HOA information has been provided to the best of our ability. All information should be verified and approved by buyer. Square footage is approximate and not guaranteed. Buyer is responsible for verification.